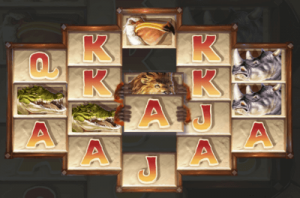 NetEnt is sure to make 2018 even more exciting for slot lovers with the new Jumanji: Welcome to the Jungle slot. Brace yourself for a thrilling holiday on the wheels with this 90s based game. Check out the best online casinos to find your favourite hangout this summer. You can trust NetEnt to make a thrilling slot game based on the latest box office hits. Jumanji was a hit film back in 1995 but the 2018 version featuring ‘The Rock’ and Kevin Hart is a definite enthraller. 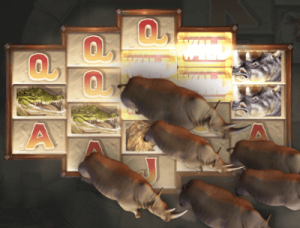 Jumanji is a 5-reel and 36-pay line slot meant to rock your slot world in 2018. Play Jumanji and go back in time to the 90s. 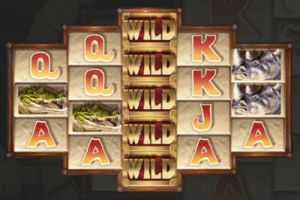 The slot might be classic but the gameplay is in tune with the culture of modern players. Judging from the quite riveting 3-second teaser, Jumanji will be an exciting slot, especially during the holidays. We are talking 3D graphics, classic colours, a pool of bonus features and wild adventures across the reels. Prepare yourself for spectacular CGI animation of symbols including lions, rhinos, crocodiles, pelicans and cards (Jacks to Ace). Land King Lion, the most valuable symbol for a 14x multiplier on your stake. When it comes to bonus features, Jumanji is a bliss. Play the base game for a chance to trigger any of the four random bonus features. Grab yourself a set of re-spins. All symbols in a winning combination stick to the reels as other symbols re-spin. As the re-spins continue, more winning symbols will land on the reels. The best part is that the re-spins go on until no new winning combinations can be formed or the whole reel is set. 1 or 2 reels turn Wild with the reels still spinning. All symbols shuffle randomly on the reels to create an assured winning combination. Here rhinos stampede the reels, with the reels still spinning. During the feature, 4 to 9 symbols will be added to the reels. Access the Board Game every time 3 or more scatter symbols appear on the reels. You then have to roll a six-sided dice to increase your token along the board. If the dice rolls in your favour, you get 6, 7 and 8 dice rolls for 3, 4 and 5 scatters, respectively. Trigger the Mystery feature for a carousel of Free Spins. You also stand a chance to win cash prizes of between 2 and 10 times your bet and 2 more dice rolls in the Jumanji circle. Land on Coin Wins for up to 5x multiplier on your stake and extra rolls. 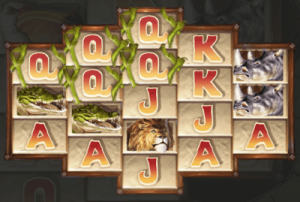 Jumanji: Welcome to the Jungle is an absolute ‘must-play’ type of slot. 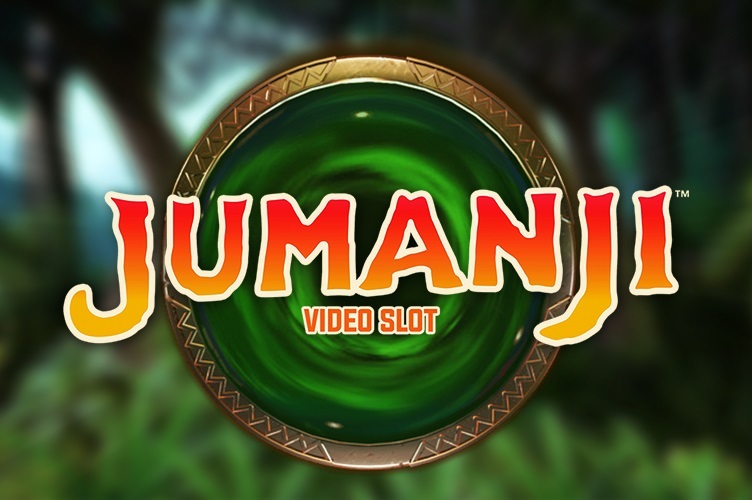 If you are into jungle adventures, 3D animation and huge multipliers, stay tuned for Jumanji the slot. Ensure to check out the best online casinos to find out where to play this and other latest slots.